Posted: August 14, 2015 in The Daily Grind, Where Have I Been? This is my way of reminding myself of the little things that recently made me happy as inspired by Helga. 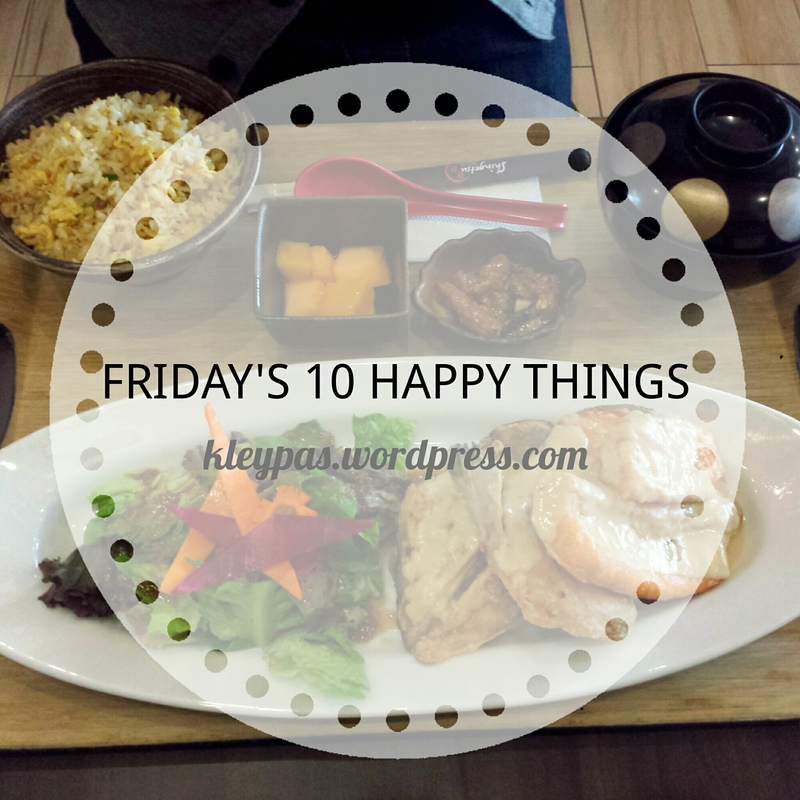 I almost did not push through with this week’s happy list because the past 5 days has been all sorts of tough. Work is outrageously busy and challenging, it’s sucking the life out of me. I’m also having post-holiday anxiety, and birthday blues, and the weather is so gloomy, and I’m getting my period soon so my emotions are going batshit crazy. I honestly struggled to complete this week’s list but got it done anyway. My 4-day visit to Bohol last week. It was raining most of our time there due to the major typhoon that passed through our country but we took it as an opportunity to relax and take multiple naps a day. My parents sent me a care package from Ilocos. The box was full with food that I love – Ilocos garlic longganisa, bagnet, morcon, and a bunch of avocadoes and dragon fruit from our very own backyard. Grabcar. I never need to worry about my ticking taxi meter in traffic because Grabcar sets a fixed rate for a desired destination immediately upon booking. This means avoiding drivers asking for additional charge on top of meter rate just because there’s traffic jams everywhere. Colleagues giving me food and coffee. For no apparent reason, people at work has been giving me food and treating me out for coffee runs. Maybe they know that I’m stressed hehe. Cris buying me food LOL. He always sees to it that he brings me home some food every time he eats out. What a sweetie. Supportive friends. As I mentioned above, work has really been very challenging and I have been doubting myself lately. But my good friends reminded me to not be too hard on myself. Awwww I love you guys! Cris buying groceries. I have been working extra late this week, hence I don’t really have time to get some essentials from the supermarket. I’m glad he’s dependable enough to pick up my momentary slack. Packed lunches for work. My mom sent me lots of ulam from the province so I always have some to bring at work. Becky Nights public chat on Viber. LOL I just like seeing how the beckies interact with one another. Soba noodles. Japanese food is life! Today, we had lunch at Nadai Fujisoba and I had my usual hot soba again. Hay naku #thisiswhyimfat. Posted: July 19, 2015 in Picdump, Restaurant Review, Tummy Fillers, Where Have I Been? It was a rainy Friday lunch and I was craving for soup so I convinced my usual lunchout companions to grab some ramen. I suggested one of my cheap favorites, Tampopo, but we were shocked to find it closed for renovation. Feeling beat down (LOL so dramatic), we started walking around the BHS area looking for a Japanese restaurant that was not so crowded. That’s when we found Shingetsu, right exactly where Naci used to be. Shingetsu is a fairly new restaurant around the area, maybe even barely 6 months old. They have a pretty big menu but we zoned in on their Lunch Sets. Each set comes with a side salad, an appetizer , soup, and fruits for dessert. During our visit, we had a pork side dish but I’m not sure if this changes from time to time. The side dish, salad and soup were all good. And the fruits – cantaloupe and ride mango – tasted fresh and sweet. 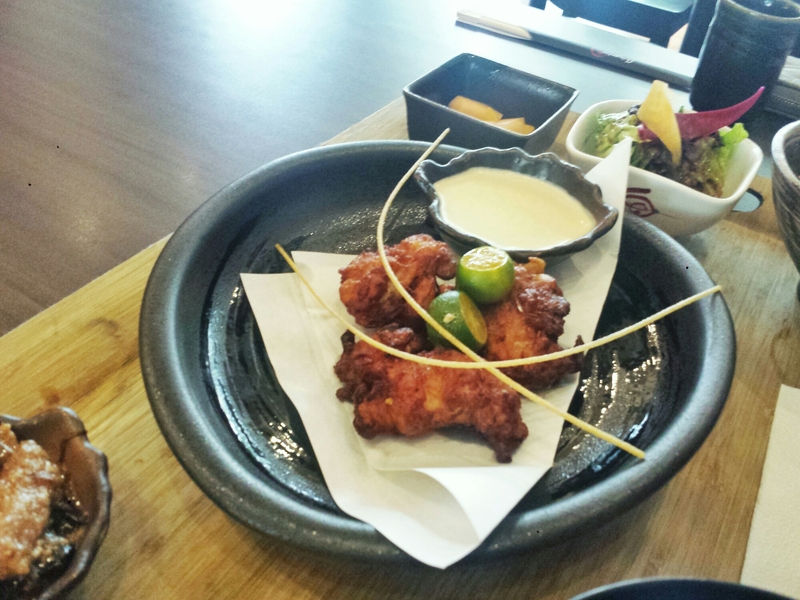 Raissa got the Chicken Karaage Set. If I’m not mistaken, this was around Php350. I didn’t get to taste this given that she only had 3 fried chicken fillet. She was able to finish it all but when I asked how it was, she said that it was a little too sour for her taste. It seems like the chicken might have been marinated in lemon (or calamansi) before frying. Allan’s choice was the Fried Salmon Set. Deep-fried salmon jaw coated in salted egg sauce and served with a bowl of fried rice. First of all, look at the serving size! This could easily feed two people. I got to try his dish and I loved it! The salmon was perfectly fried, not too oily, and the salted egg sauce was very decadent. It lacked some acid so I drizzled it with calamansi juice and it came out even more delicious. And all that food only cost Php390. This was easily the winning dish of the day. 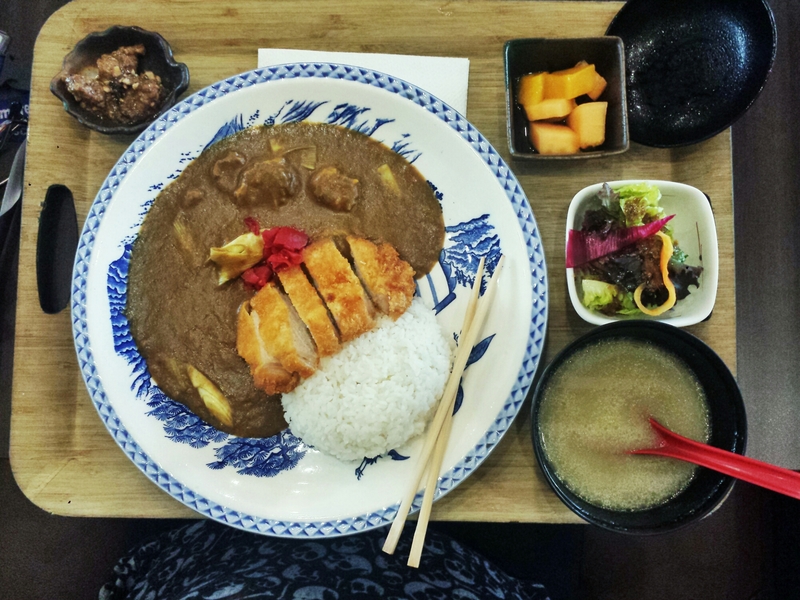 I went for the Katsu Curry Set which comes out at Php420. Mine was good as well. 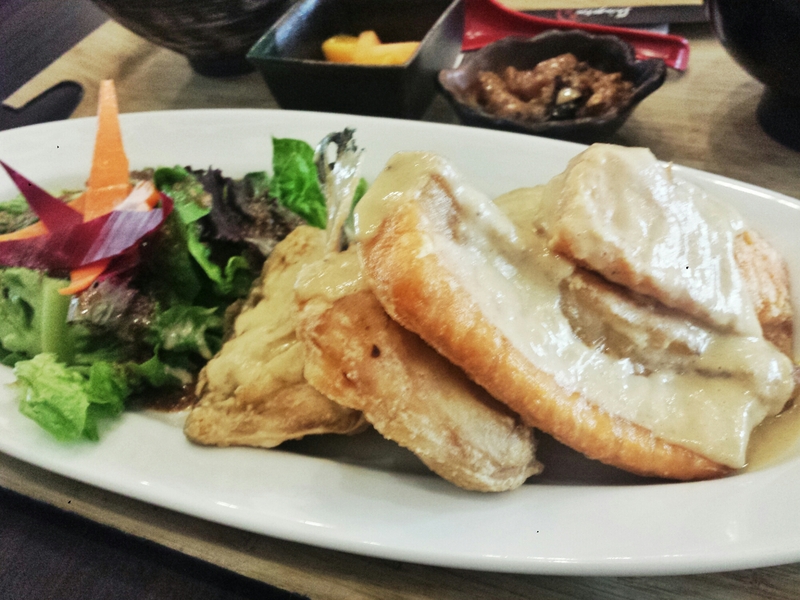 The katsu was fried perfectly and was not dry even if the pork slice was very lean and thick. 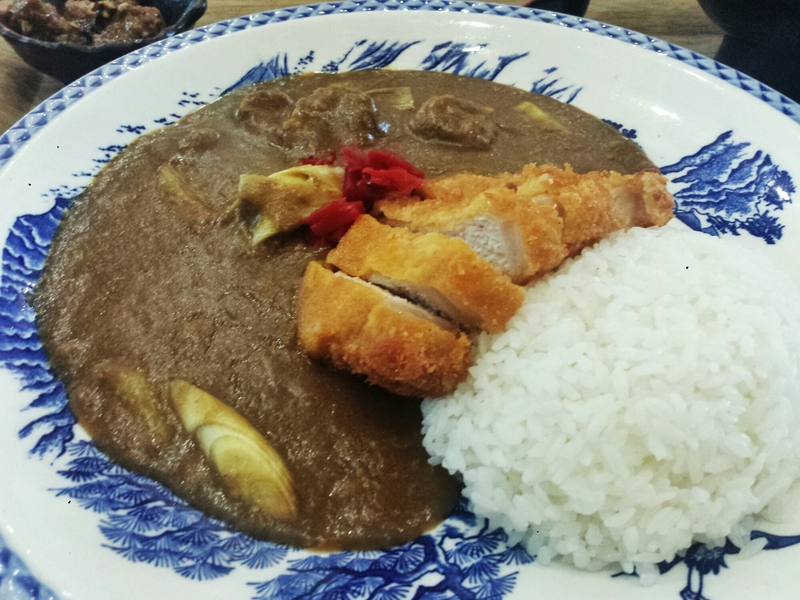 It is sitting on top of a bed of Japanese curry with a couple of tender pork pieces in it. I like how the curry was mildly spiced but I would have loved it more if they threw in some vegetables in there. Overall, it was a very satisfying lunch. The serving size was surprisingly big for the prize and all the extras that come with the lunch set made us feel like we were getting more that what we paid for. I would definitely go back to this restaurant and I will definitely get the Salmon Set next time. 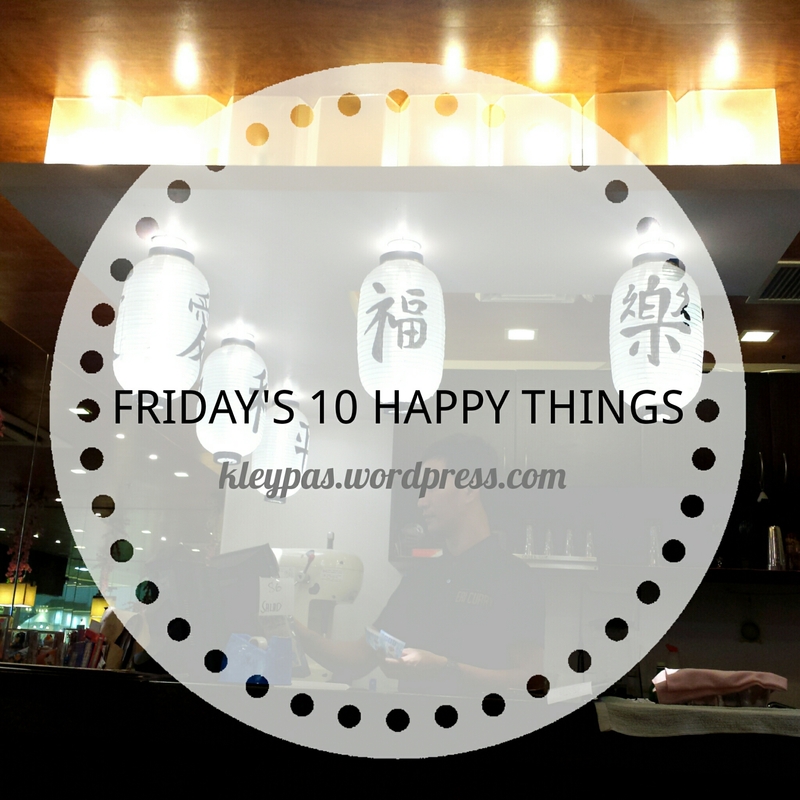 Posted: July 10, 2015 in Friday's 10 Happy Things, The Daily Grind, Tummy Fillers, Where Have I Been? Store Sales. Cris and I took a trip to the mall to buy his suit for my friends’ wedding and we saw a lot of stores having their End of Season Sales. I took advantage and scored good deals from H&M and Cotton On. Grabtaxi/ Grabcar promos. For someone like me who takes a cab everyday to work, the emergence of Grabtaxi and other transport services has brought so much convenience. Add to that the “no booking fee” and “Php50 off” promos, I will never endure standing under the sun just to flag a cab ever again. Or at least until their promos last. Rainy days. I know the rain was brought in by typhoons and typhoons are usually bad new for our country but I just can’t help but love it. It’s such a relief to go to bed at night not worrying about waking up in the middle of the night drenched in sweat. Speaking of rainy days, one of my favorite things to do in the cold weather is to drink hot soup. Or consume any food with soup in it, for that matter. We had pho for dinner last Sunday and it left my insides so pleasantly warm. With all this rain, I can’t get away with my “will just use my cardigan/scarf as umbrella” anymore. For some reason, I just don’t like using umbrellas. But Cris gave me a cute transparent umbrella from Japan, and he does not need to force me to bring it with me because I love using it. LOL. Obviously, I’m not that hard to please. My oven! I’ve been trying to use my new oven more often so I can get familiarized with it before I finally try to bake some pastries. I’ve only cooked a few dishes with it so far – 2 chicken recipes and roasted liempo. And one night when I was feeling more adventurous, I made pizza! Haaaay… How to eat and not end up just looking like a blubber all year round??? Weddings. I attended a wedding yesterday and I loved every moment of it. It was also nice to see the bride who is a very good friend of mine. We used to share a condo before but she moved to Australia for her job a couple of years ago so we barely see each other now. My GLOBE friends. This is the group I stuck with from my first job and we’ve remained friends even after leaving the company. We fondly call our group “Brothers and Sisters” which is very apt since we actually consider each other as brothers and sisters. Cookie Cup. After the wedding reception last night, the Brothers and Sisters (B & S) braved Marikina’s traffic and semi-flooded streets to have coffee and spend more time together. This café (Cookie Mug) has the unique idea of serving drinks in cups made of cookie. I like the novelty of pouring in your drink and melting the chocolate coating of the cup, and eating the actual “cookie cup” when you’re done with your drink. Pretty cool concept. Today’s lunch of katsu curry. 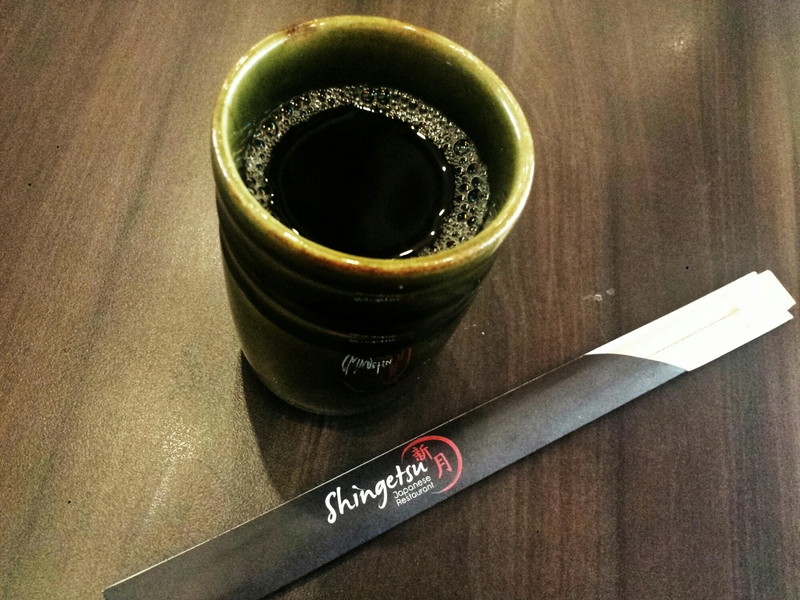 My usual Friday lunchout group tried out a fairly new restaurant in our area – Shingetsu. We all ordered their lunch set which comes with appetizer, soup, salad, dessert and your choice of mains. The food is delicious and the serving size is huge. I would definitely go back there again. How was your week? I hope you are all safe and dry! Posted: March 3, 2014 in Picdump, Tummy Fillers, Where Have I Been? 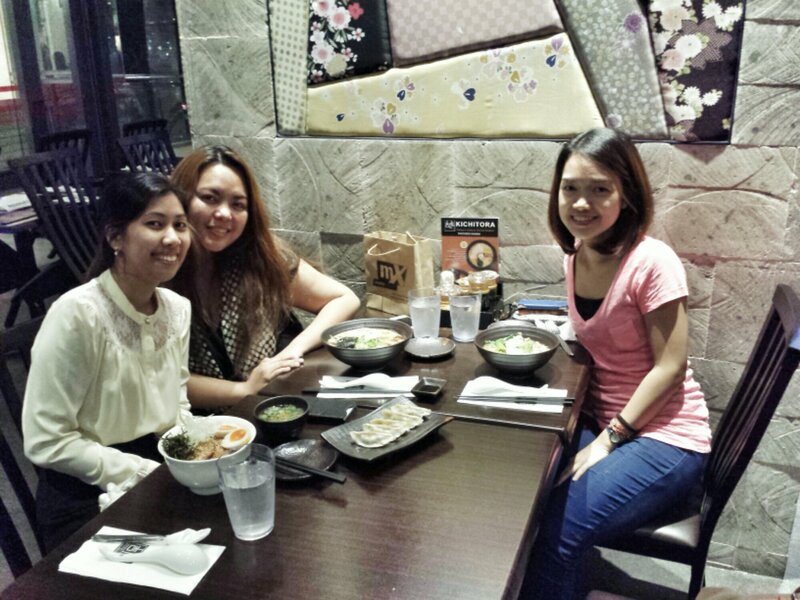 The Indays’ schedule finally synched together so we had time for a proper catchup dinner. We were meeting up in Makati and I was coming from the ~province~ of BGC so I gave them the liberty to choose where to eat. 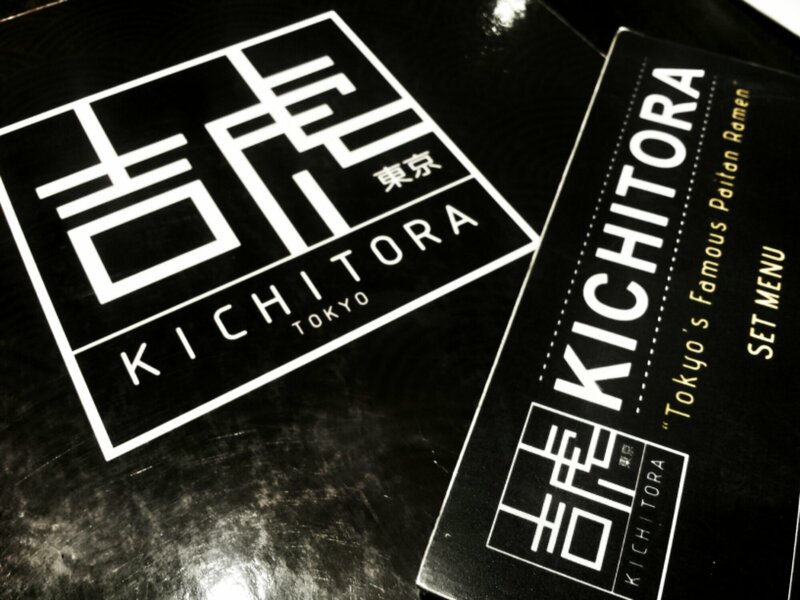 Thankfully they chose Kichitora. If you know me well enough, you’d know I’m always down for a bowl of ramen. 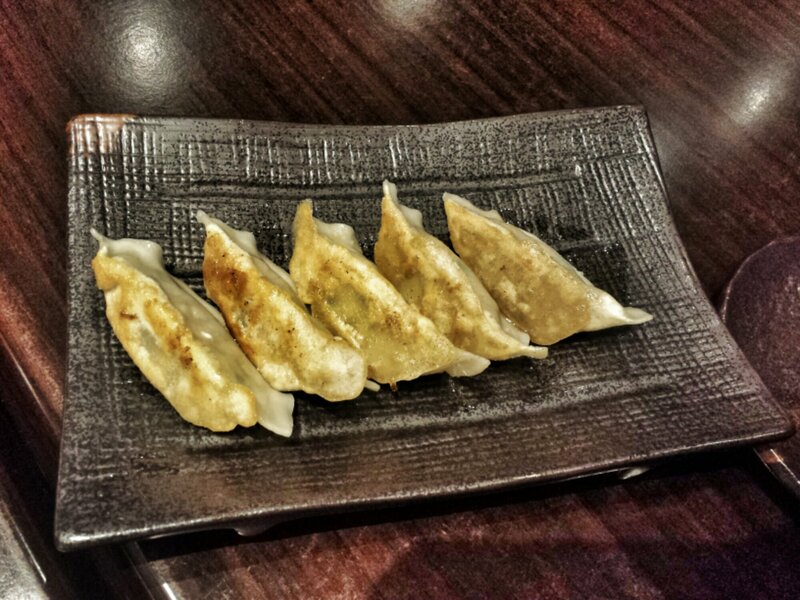 Gyoza (P150) | For our appetizer, we got an order of pan-fried gyoza. It was OK, but the wrap was a tad bit too thick and chewy. It also wasn’t much of an appetizer because they served it almost simultaneous with our main meals therefore we didn’t get to finish it all up. That being said, it is still a good side dish to your ramen. Pork Chashu Rice (P320) | Unlike me, Ren is not much of a ramen fan. 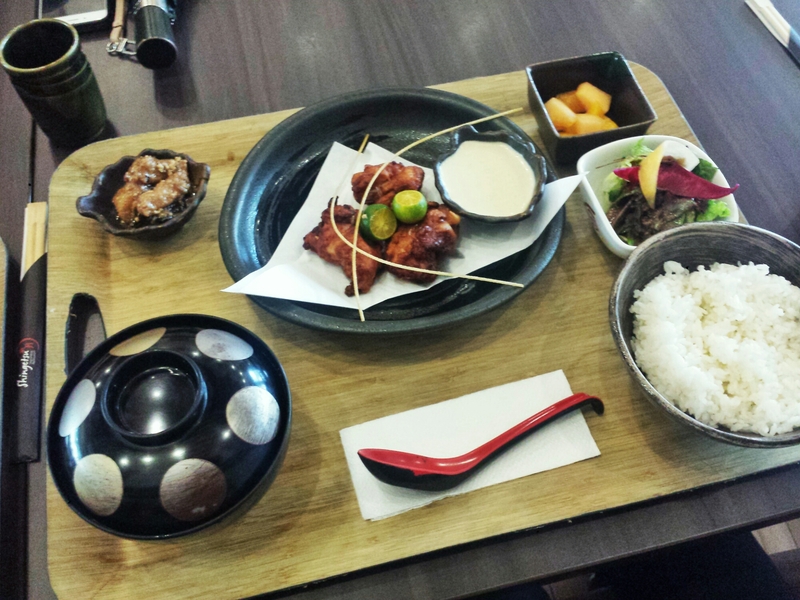 She got a bowl of Japanese rice topped with grilled pork chashu chops, dried seaweed and molten lava egg. Just looking at that melty yolk makes me drool! This is also available in a smaller size at P175. 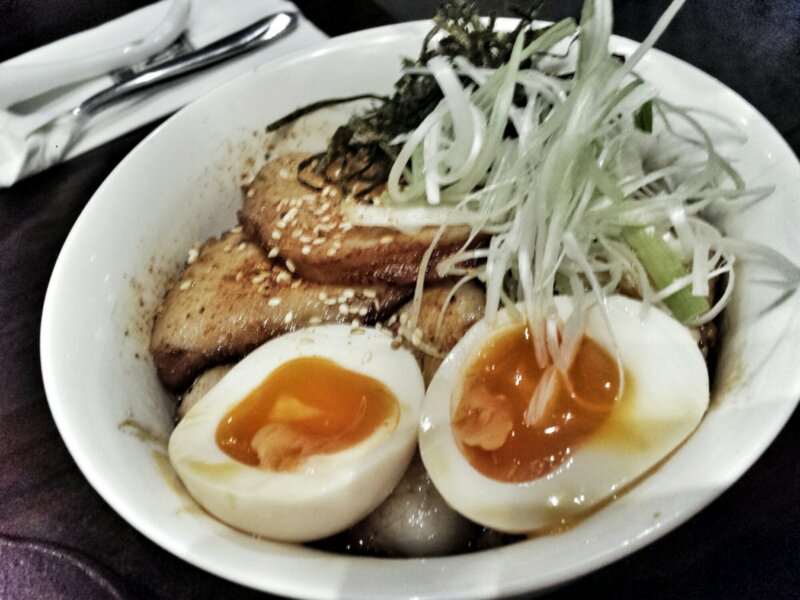 Paitan Chicken Ramen (P360) | Lorraine went for the Paitan Ramen. 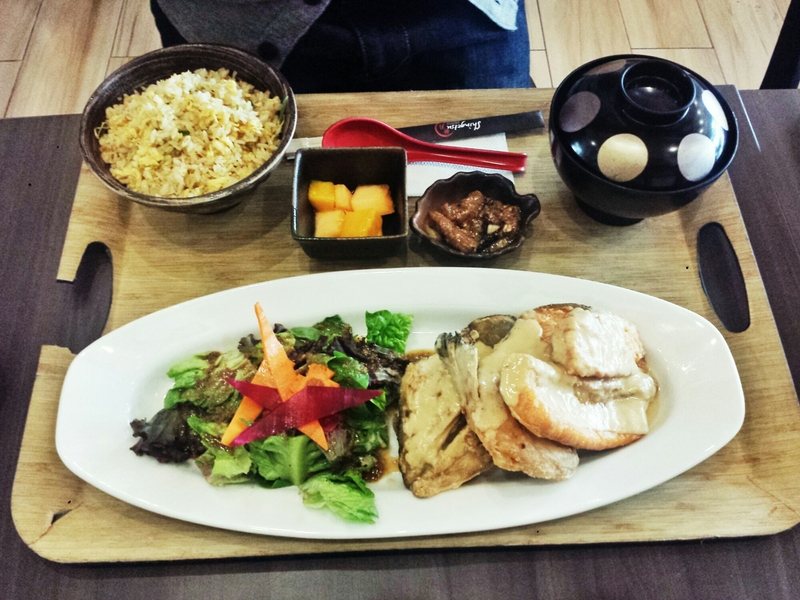 It is topped with your choice of chicken or pork (she chose chicken), bamboo shoots, green veggies and a slice of naruto. 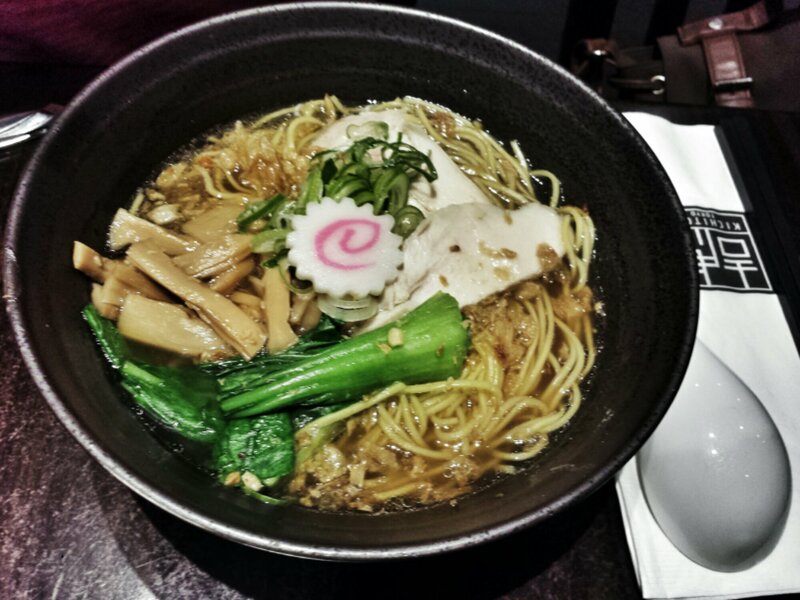 This ramen is made with their original white broth. 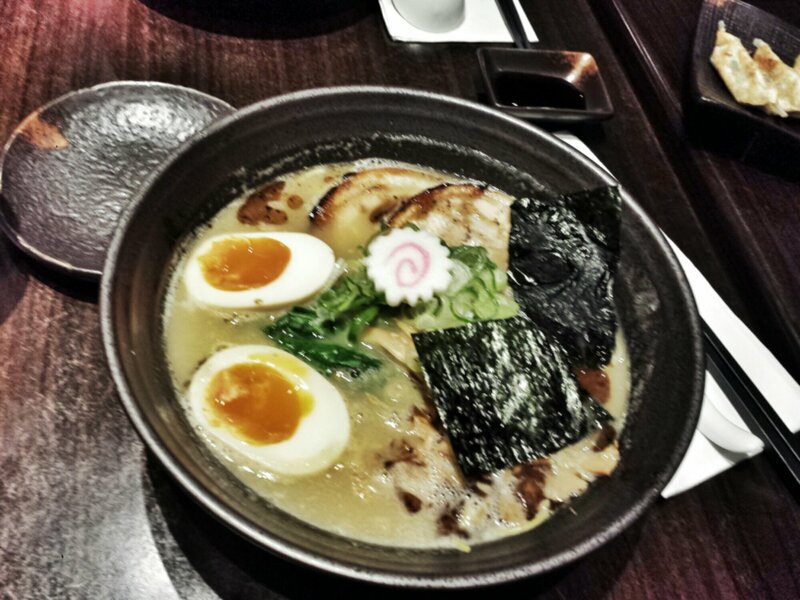 Paitan Ramen Zenbu no Se (P420) | I went for their best seller. Topped with pork chashu, dried seaweed (which I am addicted to), molten lava egg, naruto and drizzled with a dash of fried garlic oil. I opted for the regular broth though I saw in their menu that they also have a spicy variant. Guess I was kinda scared it was going to be too spicy and the restaurant was not too well ventilated;I wasn’t in the mood for sweat lol. It was good! I would probably get a bowl of this again when I go back but maybe get the smaller bowl at P300 because this was a little too hard for me to finish.